> Products > Blender Bottle Pro32 (946ml) 32 Oz. Blender Bottle Pro32 (946ml) 32 Oz. 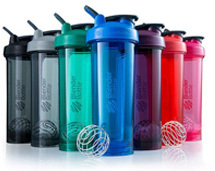 Building off of the tried-and-true design of the BlenderBottle® Classic,™ the Pro32™ adds customer-requested features and refinements to deliver a shaker that’s a cut above the rest. Featuring odor-resistant Eastman Tritan™ plastic, a rounded base, and the new SpoutGuard™ for keeping dirty gym fingers at bay, the BlenderBottle Pro32 joins the Pro Series with style. Enjoy today's smoothie without tasting last week's protein shake. Forgot to add liquid first? No sweat. 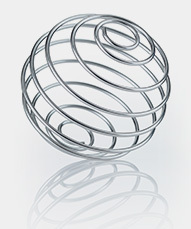 The rounded base on the Pro32™ allows the BlenderBall® whisk to mix every last bit of powder.